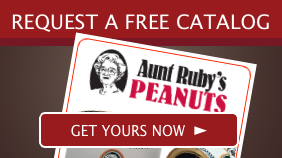 This Deluxe Gift Package includes a 5 lb.bag of Raw Shelled Peanuts, a 40 oz. 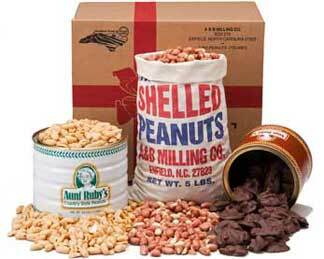 tin of our ever popular Country Style Roasted Peanuts, plus a 20 oz. tin of Aunt Ruby's delicous Chocolate Peanut Clusters. A wonderful Holiday Gift!